It records the user’s kiss and transmits it to an identical receiving device, which recreates it for the person on the other end through an app that also features video calling. 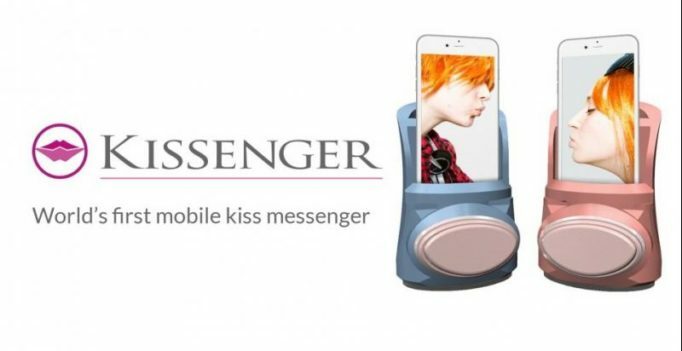 You can now send a physical kiss to your long-distance lover over the internet, thanks to a new smartphone gadget developed by researchers. The device, known as Kissenger, works with pressure sensors and actuators. It records the user’s kiss and transmits it to an identical receiving device, which recreates it for the person on the other end through an app that also features video calling. “Also, it’s stress reducing; when we engage in this kind of intimate physical touch, we have a lower level of blood pressure,” Zhang was quoted as saying by the ‘Mirror’. Parents can also use Kissenger to give their children a kiss on the cheek when they are away at work, researchers said.